ARRL President Kay Craigie, N3KN, has issued an urgent call for League Members to contact Senate Committee on Commerce, Science, and Transportation members representing their states to urge their support of S. 1685, the US Senate version of the Amateur Radio Parity Act of 2015. President Craigie said the bill could be scheduled for mark-up in the committee as early as next week, and that opponents to S. 1685 have been rallying their supporters. She said the ARRL and its legislative consultants on Capitol Hill "are hard at work" to ensure that the mark-up goes favorably. President Craigie called for "a blast of support for the bill" from ARRL members living in states that committee members represent. "We learned this morning that opponents of the legislation have asked their people to contact Senators on the committee to communicate what can only be called bald-faced lies about the legislation's intent and effects," President Craigie said on November 11. "They are the same lies addressed in our video." President Craigie said the message -- by telephone or e-mail -- is simple: "I'm a constituent and an Amateur Radio operator. I urge Senator __________ to support S. 1685, the Amateur Radio Parity Act, when it comes up for a vote in committee. Thank you." Visit Contacting Your Congressional Representatives on the ARRL website for contact information or see the list in the website version of this story. "Whether ARRL members use e-mail or telephone, the essential thing is to do it now and to urge other hams in their states to do it now," President Craigie said. US Sen Al Franken (D-MN) has signed on as a cosponsor of the Amateur Radio Parity Act of 2015, S. 1685. He is the second US Senate cosponsor since the bill was introduced in the upper chamber by Sen Roger Wicker (R-MS) on June 25 with the initial cosponsorship of Sen Richard Blumenthal (D-CT). Franken signed on to S. 1685 on November 5. US Sen Al Franken (D-MN). "The culture of the US Senate is different than that of the House, and Senators do not sign on to cosponsor legislation as readily as House members do, so we're especially pleased that Sen Franken has agreed to become the second cosponsor of this legislation," said ARRL President Kay Craigie, N3KN. She said the ARRL team in Washington has visited the offices of many US Senators and Representatives on Capitol Hill, and that their reception has been "cordial and interested." "Amateurs in Minnesota frequently serve the state in times of emergency and in all sorts of public service events," he said. "The act will ensure that the many amateurs in CC&R communities are able to participate in drills, exercises, and everyday amateur communications via their home stations. These routine communications are the training ground for real-life events, where amateurs may be needed to supplement infrastructure-based communication services." President Craigie said the League appreciates the efforts of ARRL members in Minnesota who wrote Sen Franken to encourage him to cosponsor S. 1685, and she hopes that those who wrote will follow up to thank him for agreeing to sign on to the bill. Amateurs in Minnesota can thank the Senator via his website. Click on "Contact Al" on the upper right. At World Radiocommunication Conference 2015 (WRC-15), in Geneva, consensus continues to shape up around a new 15 kHz-wide global secondary 60 meter Amateur Radio allocation at 5351.5-5366.5 kHz. On November 12, Conference Working Group 4B agreed to the global secondary allocation, with power limits designed to protect primary services from harmful interference. Sub Working Group (SWG) 4B1, chaired by Dale Hughes, VK1DSH, had presented its output document with two options, the other being no change -- a position many administrations favored going into the conference. The current compromise making the allocation possible still must clear two more levels at the conference. This won't happen until next week, and the issue is not final until it does. 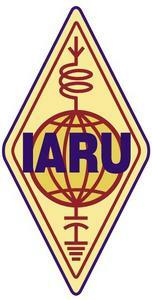 ARRL CEO David Sumner, K1ZZ, who attended the conference briefly on behalf of the International Amateur Radio Union (IARU), congratulated the IARU team and the national delegates who advocated for the Amateur Service. "Assuming that the fragile agreement continues to hold, this will be the first entirely new HF allocation since 1979," he said. "While we would have preferred more, anyone who understands what our proponents were up against will appreciate what they have accomplished." SWG 4B1 held 15 meetings over the first 10 days of WRC-15. During week 1, the discussion focused on whether there would be an allocation at all. A number of administrations and the regional telecommunications organization (RTO) representing Russia and 10 of its neighboring countries (RCC) were bitterly opposed. As week 1 closed, it became clear that the widest achievable allocation was 15 kHz and that a power limit in the neighborhood of 15 W effective isotropic radiated power (EIRP) would have to be part of the package. Early in week 2, band edges of 5351.5 and 5366.5 kHz were agreed upon as part of a compromise proposed by one of the "no change" countries. Resolving the power limit proved to be more difficult. CITEL, the RTO encompassing the Americas, argued strenuously for slightly more power in South America and the Caribbean. The US, which went into the conference with a "no change" stance, joined the compromise once the band edges were set and argued in favor of a higher power limit, although several other countries opposed this. The last "no change" holdout was Japan, which reluctantly agreed to accept the allocation on November 12, after reiterating its opposition and its intention to insist that any harmful interference to its primary services be avoided. "Decisions at WRCs are now made by consensus, which means that any administration with strong opposing views can block an agreement," Sumner explained. He contrasted the current process with that followed at the 1979 World Administrative Radio Conference (WARC-79), where Amateur Radio gained the so-called "WARC Bands" -- 10, 18, and 24 MHz -- among others. "At WARC-79 a proposal needed more than simple majority support to go forward, but decisions could be made over the objections of a minority," he said. "That is not possible today, so the result is almost a 'lowest common denominator' outcome for any proposal that does not have near-universal support." "An allocation is always a win, and we have a very good chance of a win," said ARRL Chief Technology Officer Brennan Price, N4QX, who is a member of the US delegation. ARRL Technical Relations Specialist Jon Siverling, WB3ERA, is also part of the US delegation to WRC-15. In other WRC-15 developments, a possible agenda item at the next WRC for an amateur allocation at 50 MHz in Region 1 cleared its first hurdle. A proposed agenda item to align the 160 meter allocation in Region 1 with the rest of the world was not likely to be accepted, however. The US departments of Energy (DOE) and the Interior have signed an agreement making the three sites of the Manhattan Project a National Historical Site -- and the 409th official unit of the National Park Service. The Manhattan Project was the name given to the secret World War II effort to develop an atomic weapon. The agreement makes the new NPS unit eligible for the ARRL 2016 National Parks on the Air (NPOTA) event, celebrating the centennial of the National Park Service. The National Parks Conservation Association reported the agreement on November 10. The three sites comprising the Manhattan Project National Historical Park now will be added -- with a caveat -- to the list of eligible NPOTA sites. They are in Hanford, Washington; Los Alamos, New Mexico, and Oak Ridge, Tennessee. "A visit to the Manhattan Project National Historical Park will be different from a visit to many other national parks," the National Park Service has pointed out. "Many of the properties included in the park are located in areas that are still part of the active DOE mission. Because of safety and security issues some facilities may not be immediately open to the public, and others may only be visited on organized bus tours. The National Park Service and the Department of Energy are working together to safely expand access to the facilities included in the park." As a result, the new unit will be flagged as "extremely sensitive" on the NPOTA list, which is the official list of NPS Administrative Units and Affiliated Areas as defined and maintained by NPS. The NPOTA program will have two participation tracks -- Chasers and Activators. Chasers will simply attempt to make contact with operators in as many of the NPS units as possible. Activators will attempt to activate as many of the units as possible. NPOTA participants may serve in both roles. Only one contact with any given NPS unit will be required, and no tally will be kept of NPS units based on bands or modes. NPOTA will be administered entirely through Logbook of The World (LoTW). Award certificates will be available. The December 2015 digital edition of QST is now available, and the print edition will be showing up soon in the mail. 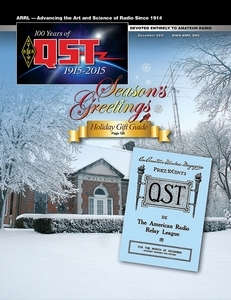 The year 2015 is QST's centennial, and, as a special bonus, the very first issue of QST -- from December 1915 -- also is available in digital format. Printed copies of the Commemorative Reissue of the December 1915 QST are available from the ARRL Store. Each 2015 issue of QST has contained articles and columns republished from vintage issues, and the December 2015 issue of QST reproduces the first technical article ever published in QST -- "Pictured Electro-Magnetic Waves" by Clarence Tuska, from the journal's inaugural issue. The December issue also contains an article about one of the greatest oddities in Amateur Radio history: The Elser-Mathes Cup, which is to be awarded to the hams who complete the first Earth/Mars contact. "Author and ARRL Managing Editor Becky Schoenfeld, W1BXY, researched the history of the cup and provides never-before-published details, along with a nice color photo," said ARRL Publications Manager Steve Ford, WB8IMY. The December issue of QST also contains an article to kick off the 2016 ARRL National Parks on the Air (NPOTA) event. "We anticipate this will be a popular on-air activity throughout the coming year, comparable with the ARRL Centennial operations," Ford said. Just for the December issue, the "75, 50, 25 Years Ago" column will become "100, 75, 50, and 25 Years Ago." "It is a unique opportunity to showcase QST at several key points in its history," Ford said. "Starting with the January issue, the column will become '100, 50, and 25 Years Ago.'" To help celebrate QST's centennial, the Green Valley (Arizona) Amateur Radio Club (GVARC) will operate a special event station November 14, 1600 to 2000 UTC, using the call sign WE7GV. Frequencies are 14.246, 14.244, or 14.242 MHz. The club is offering a certificate and a QSL card. The Elser-Mathes Cup is the subject of an article in the December 2015 issue of QST. In addition to reprising the rich, 100-year history of QST, the magazine, in a more contemporary vein, includes an article on building a medium-wavelength receiving system. The 2015 ARRL Field Day results also appear in the December issue. Content you won't find in the print edition of the December 2015 issue of QST includes a video demonstration of the MFJ-226 antenna analyzer. The League kicked off its celebration of the 100th anniversary of QST with a photo contest, announced in the January issue as well as online. "We had winning photos gracing the February, March, April, May, July, August, September, and November covers," Ford said. "Each winner received $250." QST is the not only the official membership journal of the ARRL, it is also the most widely read Amateur Radio magazine in the world, with a monthly circulation of more than 165,000. When the 15,000 plus runners sprang from the starting line at the recent 2015 Air Force Marathon and related races, 65 ham radio operators were on duty to make sure their September 19 competition was as safe as possible. Held each year at Wright Patterson Air Force Base near Dayton, Ohio, the Marathon uses base roadways as well as streets in Fairborn and Riverside. Hams are positioned at critical points throughout the courses, not only to provide communication, but to serve as additional eyes and ears, watching for any signs of problems. Hams have been a part of the race since the first official marathon was held in 1997. "This race would be extremely difficult, if not impossible, to accomplish without their support and dedication," USAF Marathon Director Robert Aguiar said of the Amateur Radio volunteers. He said hearing the ham radio net on the morning of the race makes his stress level go down. Logistics Net 2 Control Jeff DeVoe, K8JTD, in the Ham Radio Command Center. 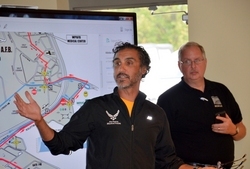 Assigned by Amateur Radio lead volunteer Dave Crawford, KF4KWW, ham volunteers provided emergency logistic and medical communications between the race director, his staff, Wright-Patterson AFB incident command, and hydration and medical stations along the course. Amateur Radio communicates information on runners' locations and status, heat index, severe weather, medical issues, and logistics, and the volunteers use APRS to track lead, "tail-end charlies," and selected runners. This allows race officials and emergency services to have a more accurate picture. Many medical issues were reported, but most involved blisters, dehydration, and cramps; only two runners required transport to a medical facility. Both the Dayton Amateur Radio Association (DARA) communication van and the Xenia Weather Amateur Radio Network (XWARN) communication trailer were put into service for the race. Hams this year were part of a test on a developing medical and race security management system that used a large command and control trailer linked by microwave to other trailers along the course. Those testing the system took Amateur Radio's APRS information from the internet and displayed it on their command and control maps. The outlying trailers had remote-controlled cameras that could survey most of the course. Crawford reported that Amateur Radio was still faster in passing messages in most instances. nets, and installation of antennas, cabling, and radios. Permanent installation of Amateur Radio equipment is under consideration. After the race, Crawford and Aguiar both said they felt Amateur Radio had proved its worth in providing skilled operators trained in handling communication under pressure. Crawford praised the efforts of his team, some coming from as far away as Michigan and Wisconsin. ARRL Midwest Division Contest Advisory Committee Representative Jim Cochran, K0RH, of Valley Center, Kansas, died on November 1. 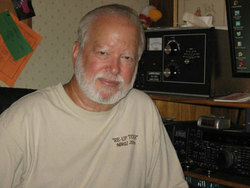 He was 72 and an ARRL Life Member. Cochran was a well-known and award-winning contester and DXer, who enjoyed operating from St Maarten and was part of the 2010 PJ7E operation. He also was involved in the annual "Route 66 On the Air" special event. 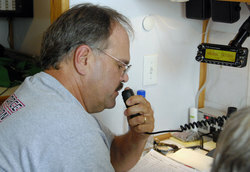 Among his honors, in 2011 Cochran won the plaque as the top-scoring QRP station in the ARRL November Sweepstakes phone event. He also placed fifth in North America. Licensed in 1959, Cochran previously held the call signs K0WUI and KK0SS. He was a long-time member of the Valley Center Amateur Radio Club. During his working years, Cochran was employed at the Wichita Recreation Department and as a Wichita police officer before entering the real estate and bingo businesses. Survivors include his wife Janice. A memorial has been established with the World Wide Ham Radio Operators Foundations. Pennsylvania National Fire Museum Celebrates 20th Anniversary on the Air: As part of its 20th anniversary celebration, the Pennsylvania National Fire Museum -- in conjunction with the Harrisburg Radio Amateurs' Club (HRAC) -- will sponsor a special event over the November 14-15 weekend, at the museum in Harrisburg. The Pennsylvania National Fire Museum opened on November 17, 1995. Housed in an 1899 Victorian firehouse of the former Reily Hose Company No. 10, the all-volunteer museum features a collection of firefighting artifacts, from hand-drawn equipment to the equipment of today. For more information, contact Richard Lenker, KB3YRC. IARU Consolidating EMC Advisor, EMC Coordinator Positions: The IARU has announced that it will consolidate into one position the responsibilities for IARU's relationship on Electromagnetic Compatibility (EMC) matters with CISPR, the international special committee on radio interference. IARU President Tim Ellam, VE6SH/G4HUA, said October 22 that the IARU Administrative Council had decided to merge the EMC Advisor and an EMC Coordinator posts. As a result, EMC Advisor Christian Verholt, OZ8CY, will be standing down from his role, with the Administrative Council's appreciation for his work over some 20 years. All EMC matters relating to CISPR and associated issues will now be handled by EMC Coordinator Thilo Kootz, DL9KCE. He chairs the Region 1 EMC Committee, but in his CISPR role, he reports to the Administrative Council. Tad Cook, K7RA, Seattle, reports: At 2240 UTC on November 11, the Australian Space Forecast Centre issued a geomagnetic disturbance warning. "Combined CME and coronal hole effects are expected to become geo-effective on 12-Nov, resulting in active to minor storm conditions," the Centre said. It predicted quiet to minor storm conditions on November 12, and unsettled to active conditions on November 13. A few days ago, The Washington Post ran a story about a possible geomagnetic storm. The Post also shared a NASA video of the recent solar flare eruption. Over the November 5-11 reporting week, the average daily sunspot number declined from 90.3 to 72.3, and average daily solar flux went from 118.3 to 109.4, compared to the previous 7 days. Geomagnetic activity increased, with the average daily planetary A index going from 14.7 to 25 and the mid-latitude A index from 12 to 19. The latest forecast from USAF/NOAA has solar flux at 105 on November 12-13; 110 on November 14-15; 105 on November 16-17; 100 on November 18; 105 on November 19-22; 110 on November 23-25, and 115 on November 26-27. Solar flux peaks at 120 on November 28-30 before dropping to a low of 100 on December 14-15. Solar flux is expected to rise to 120 again about 10 days later. Predicted planetary A index on November 12-15 is 27, 15, 25, and 12; 8 on November 16-17; 5 on November 18-25; 8 on November 26; 5 on November 27; 8 on November 28-29; 25 on November 30 and December 1; then 15, 8, 5, 12, 25, 18, and 12 on December 2-8, and 8 on December 9-13. Sunspot numbers for November 5 through 11 were 75, 86, 79, 70, 67, 65, and 64, with a mean of 72.3. The 10.7 centimeter flux was 109.9, 115.2, 115, 107.7, 107.6, 105.4, and 105, with a mean of 109.4. Estimated planetary A indices were 16, 15, 43, 14, 26, 38, and 23, with a mean of 25. Estimated mid-latitude A indices were 11, 11, 29, 11, 22, 32, and 17, with a mean of 19.